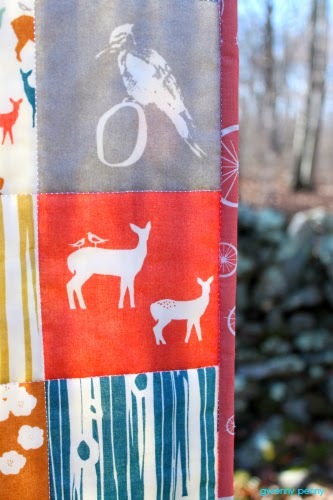 The front and back fabrics are from the Elk Grove collection by Jay-Cyn Designs for Birch Fabric. 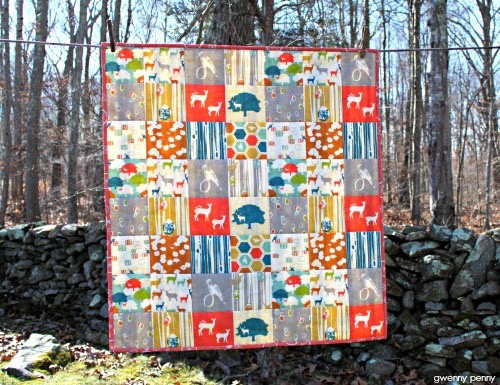 This was a quick one because I used the Elk Grove Patchwork print for the front, no piecing required. Just layer, baste, quilt, and bind. I had this done from start to finish in about 2.5 hours! 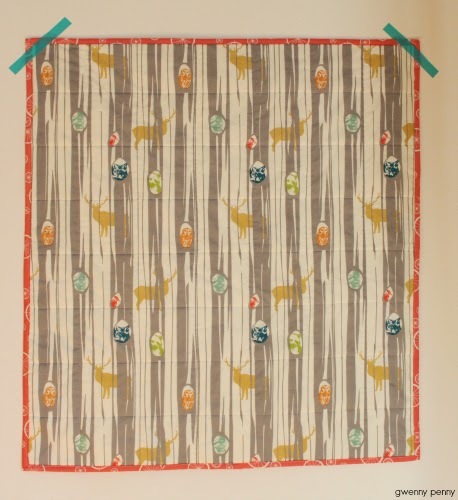 It's nice to sew something for a boy once in a while :) Around the time I started thinking about making a baby quilt for my nephew, Jodi from Sew Fine Fabric contacted me and asked if I'd be interested in a little barter. 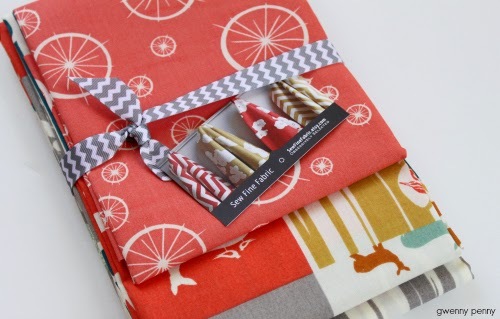 I have been ordering fabric from Jodi's shop for about a year and a half now. She and I have very similar taste in fabric, so I know that if it's in her shop, I probably need want it! I have ordered from her several times, and I'm always amazed by how quickly I receive my order (flat rate shipping is only $2.50 in the US, $4.50 to Canada!) and how nicely the fabric is put together. She has an amazing selection. I highly recommend Sew Fine Fabric. P.S. I was compensated with fabric for this post, but the glowing review is all mine. I have ordered from Jodi many times over the past year and a half (including once more two weeks ago! ), and I will order from her again! That is so sweet! What fabulous fabric! I love the fabric! So fun and totally BOY which can be hard to find. 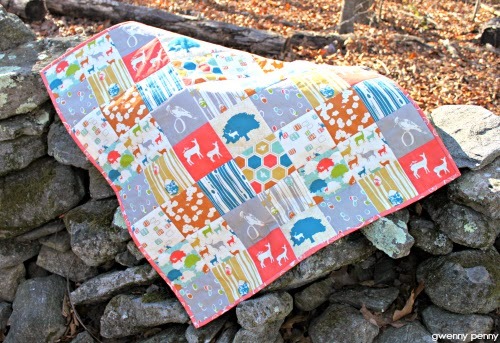 The quilt turned out beautiful, what a treasure for your new nephew. The fabric is lovely, timeless choice. 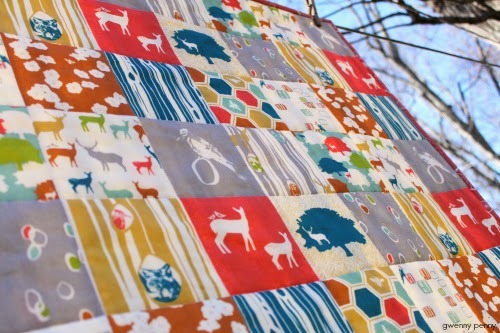 There is nothing cheater about this quilt! Beautiful.